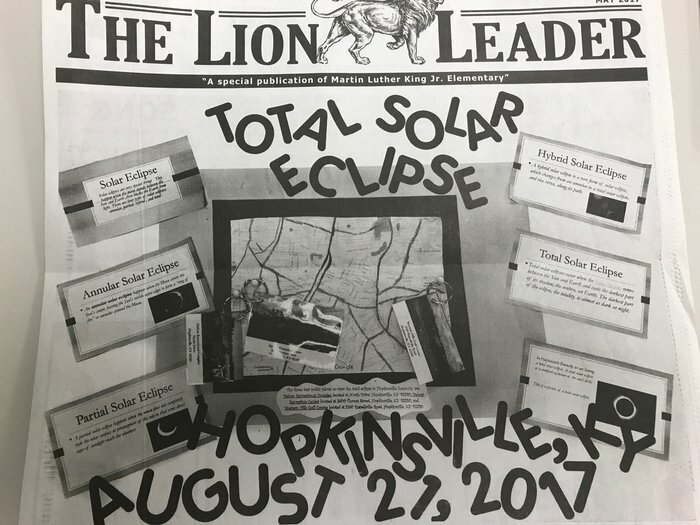 MLK 4th grade students were featured inteh KY New Era for their work to inform readers about the upcoming Solar Eclipse. Students were led in their efforts by Mrs. Jamie Koehler and Mrs. Sarah Silvers. Follow this link to read more.